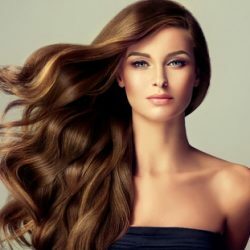 Hair Care Tips | Stylistic Inc.
Limp, lifeless, flat: people often find themselves using these terms to describe their hairstyle when they feel they have been “cursed” with fine hair. However, having fine hair can prove a great thing if you learn how to properly manage and maximize your small strands. Here are four hair care tips for delicate and fine hair! The type of hair you have determines how often you need to wash it. On a basic level, the thicker your hair, the less oil it produces. As a result, you can wash your hair less during the week. Fine hair tends to accumulate grease and oils faster than other types of hair due to its smaller width. Oils quickly find their way down each individual strand of hair and cause it to appear greasy. To keep fine hair looking fresh and clean, wash it every day or every other day. Fine hair typically lacks one major element needed for styling: volume. Volume adds dimension and fullness to otherwise limp and flat, fine hair. 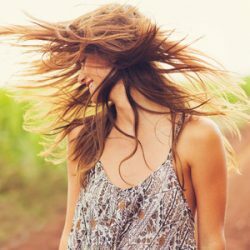 To start, choose lightweight and volumizing shampoos to keep hair looking uplifted instead of limp. Experiment with different hair care products like mousse, sprays, and powders to give your hair some support. Increase volume by adding curls or waves to your hairstyle. Use a dry shampoo in between washes, applying at night to allow the product to absorb excess hair oils. Crank the heat on your hairdryer way down to its lowest setting and power. Because fine hair strands are naturally weaker and therefore prone to breakage, using high heat leads to damage your small strands. “Rough dry” your hair first by drying your hair until it is 80 percent dry. Then, use a brush to finish out the dry job. Increase the volume using a volumizing product or dry shampoo. It may be time to head to the salon for a quick trim; to avoid split ends and to maximize your fine hair’s potential, aim for a haircut every 8 to 10 weeks. Long, fine hair leads to a flat style that is hard to boost with volume. Going with one length for your hairstyle helps achieve a fuller look. Stay away from too many layers that can cause the ends of your hair to appear thin. Interested in volumizing and maximizing your hair’s potential? Make an appointment today with the experts at Stylistics, Inc. for everything from Brazilian blowouts and hair extensions, to hair replacements and wigs. Give us a call at 602-234-3381 today!